There has been quite a buzz lately in the auto industry with the recent unveiling of the all-new 2018 Opel Insignia Grand Sport in Europe, aka Vauxhall in the UK or the 2018 Holden Commodore NG in Australia. 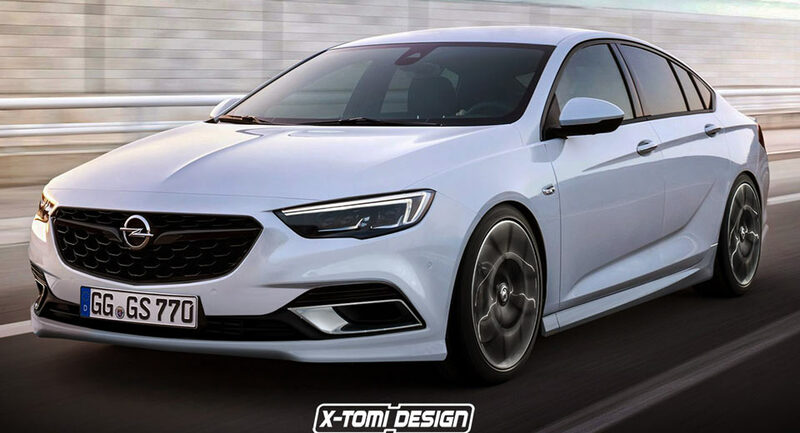 And as expected, the high-end model from the Insignia lineup has been also seen online wearing a special OPC body styling, the rendering being signed by no other than X-Tomi Design. Even such a model might won`t receive the green light, the carmaker focusing on investing lots of money in the Grand Sport model, it is a good fun seeing it with a much sportier and more aggressive OPC design. As we can see in the rendering, the model comes with the general design from the Insignia Grand Sport, wearing however a custom-built front bumper, wider wheels, lowered ride height and more prominent side skirts. As a reminder, the 2018 Opel Insignia Grand Sport was unveiled with a massive, bulker and wider body styling, highlighted by a sober attitude and the latest technology in terms of design and interior features. Amongst the top features, we should mention the new Intellux LED matrix lights, new alloy wheels and a wide range of safety features, including Lane Keep Assist, adding Head-Up Display and AGR-certified premium seats. Other features are kept from the previous generation and concerns the Flex-Ride chassis with the three driving modes – Standard, Sport and Tour. Inside, the model also comes with the latest technology, including the up-to-date IntelliLink systems or the Vauxhall OnStar. In the engine department, the all-new 2018 Vauxhall Insignia is rumoured to come with a 2.0-liter turbocharged four-cylinder petrol and diesel engines, followed by a top of the line V6, which will also be found on the Holden model.